All Ksport Airtech Systems feature high quality air bags, proven to handle the stress and abuse of daily driving as well as drift circuit use. Take advantage of the near infinite adjustability thanks to the adjustable lower mount, 36 levels of damping adjustment, and the unmatched height adjustability (0-200mm) of air suspension. These air suspension kits are designed for easy bolt-on installation. No modifications to OEM shock absorbers, or OEM top mounts is required. Vehicle may need to be modified for air line routing. All Ksport Airtech Systems use VIAIR compressors, and can be raised from the lowest setting to max height in as little as 2 seconds. 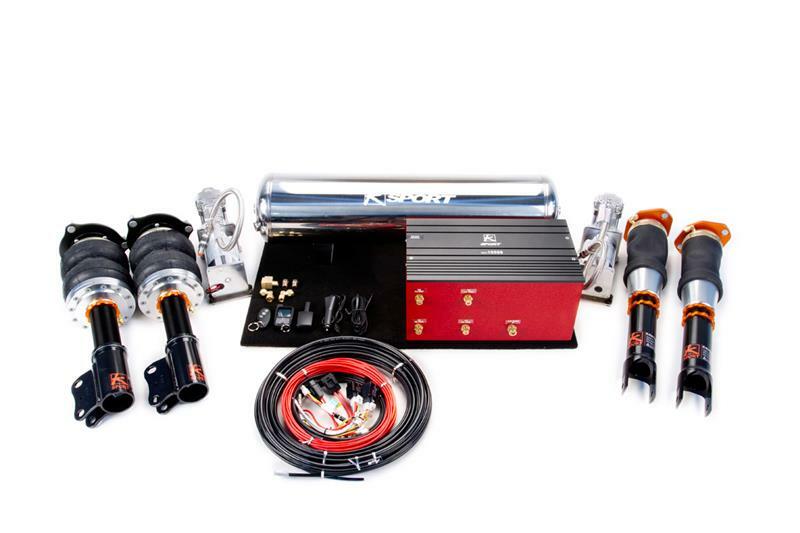 * All Hoses, wiring, and installation manuals are included. Airtech Pro and Pro Plus will raise your vehicle in 2-5 seconds. Basic and Deluxe require 4-7 seconds.